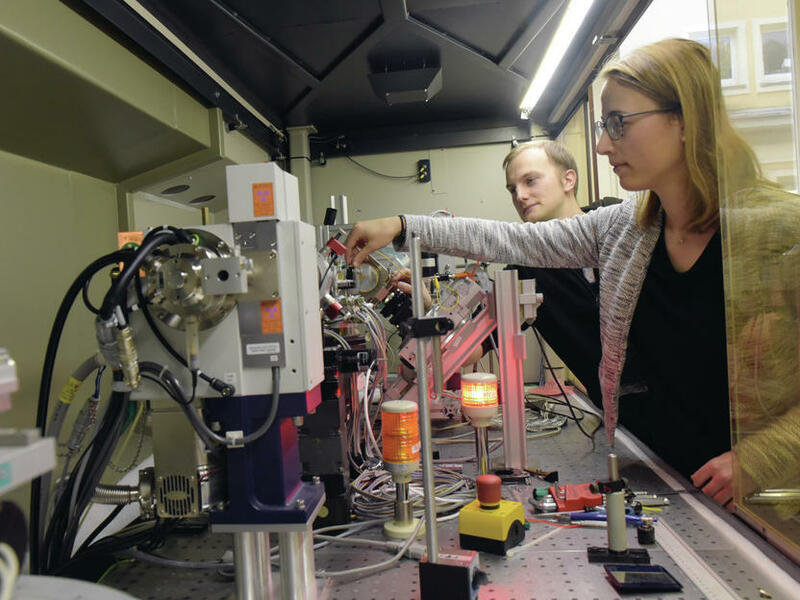 Annika Schmitt and Benjamin Grabiger from the University Jena work in an X-ray laboratory to improve the precise measurement methods. For most people, a vacuum is an empty space. Quantum physics, on the other hand, assumes that even in this lowest-energy state, particles and antiparticles still fluctuate. This is an assumption for which no clear evidence has been provided as yet. A new research group at the University of Jena has now begun work to provide experimental evidence of the processes at work in the supposed vacuousness, more than 80 years after they were predicted by Werner Heisenberg and Hans Euler. The quantum theorist Prof. Holger Gies leads the group, ‘Probing the Quantum Vacuum at the High-intensity Frontier’, a name that in itself describes the aim of the research. In addition to Friedrich Schiller University in Jena, the Helmholtz Institute Jena (HIJ) and the universities in Düsseldorf and München (LMU) are also involved in the project envisioned for six years. The German Research Foundation is providing around two million euros for the first three-year phase, which, among other things, will pay for nine doctoral positions, five of which will be in Jena.